Avoid excess baggage charges with My Baggage – a low cost and convenient luggage shipping solution for students, holiday makers, expats and business users. Excess baggage charges are the bane of every traveller’s life; in recent years, it also seems that these charges have shot up, whilst baggage weight allowance has slowly been decreasing. Airlines are under more pressure than ever to cut costs and increase revenue, so it’s not surprising that excess baggage charges have been somewhat seen as a revenue stream. In fact, in 2012 alone, Brits forked out £1.6 billion in excess baggage charges (Female First, 2012). Going over the airlines’ 15kg – 23kg limit can cost you big time, between £10-£20 per kg. It is hard to accurately calculate the costs of baggage if you are sending heavy suitcases or multiple suitcases. At My Baggage we provide clear pricing per suitcase and have a fixed price for any suitcase up to a massive 30kg! 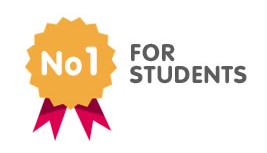 My Baggage are the No.1 Student Shipping Company, however anyone can avail of our super services and low prices. 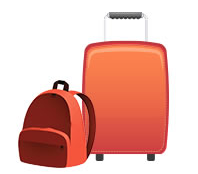 Students inevitably have heavier luggage; the innumerable amount of course items that you need to take from the UK to home or vice versa can take up a significant portion of your baggage allowance; and those text books may just have to be left where they are if you’re to include any items of clothing in your luggage. This is where My Baggage can help… don’t choose between vital items for your study and items of clothing, choose to have it all shipped together, safely, securely and cost effectively. For the frequent traveller, it can seem like every wait at the conveyor belt sees you the last person standing; waiting for your baggage can often add 45 minutes or more to your journey. As well as this, practically everyone has heard or, worse – experienced, a nightmare story about a suitcase not making it over to the other side; such a mishap seems unfathomable in the day and age of super tight security and checks and rechecks on the amount of baggage a flight has on-board; but it does happen, and for the person who’s suitcase is missing in action, it can be nothing short of a nightmare. 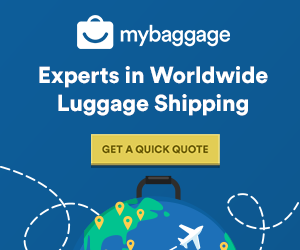 We appreciate how frustrating excess baggage charges can be, and we also know that the majority of people who pay it are surprised at just how much it amounts to. With My Baggage we provide an online, hassle free quote, which means that our customers know how much our services cost, with no hidden charges. You can avoid the problems of flying with your baggage altogether by taking advantage of our massive 30kg allowance, which will ensure that you’re not stuck considering whether you should throw away some of your belongings, or fork out the fees that airlines demand for excess baggage. As well as this, we will even pick up your suitcase directly from your door, and you can happily track your suitcase online.